I know this has probably been around since the beginning of oatmeal, but I had no idea! It is delicious! The recipe I used I’ve eaten as a decadent weekend breakfast, but it could easily be a warm and wonderful dessert. 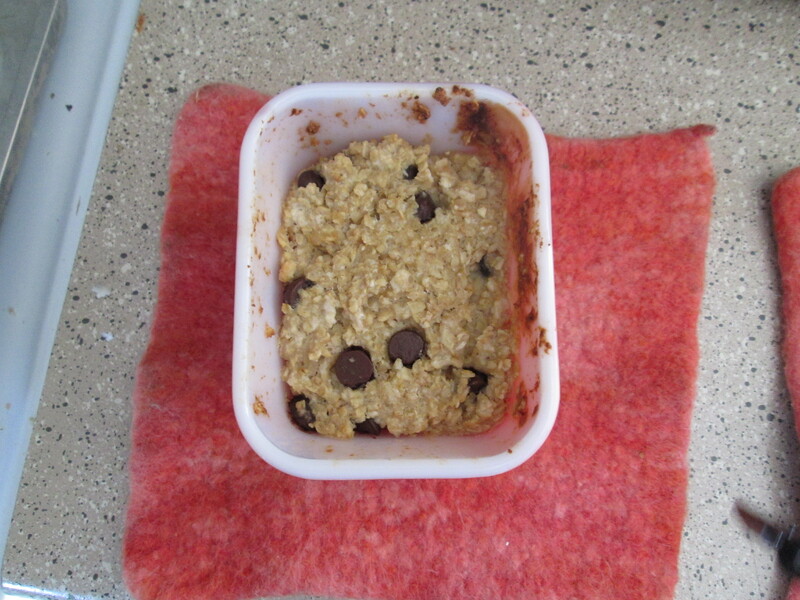 So…mix everything together in a bake-able container (we have small Pyrex containers). Put in the oven at about 350-400 F (preheat while you are mixing) and bake about 20 minutes. If you want it a little crispier or browner on top, make sure your temp is around 400. I like to eat mine with almond milk on top, but M likes his without. There are many many flavors of baked oatmeal and now I might begin to explore them!